Some have said these wings were cosmic! 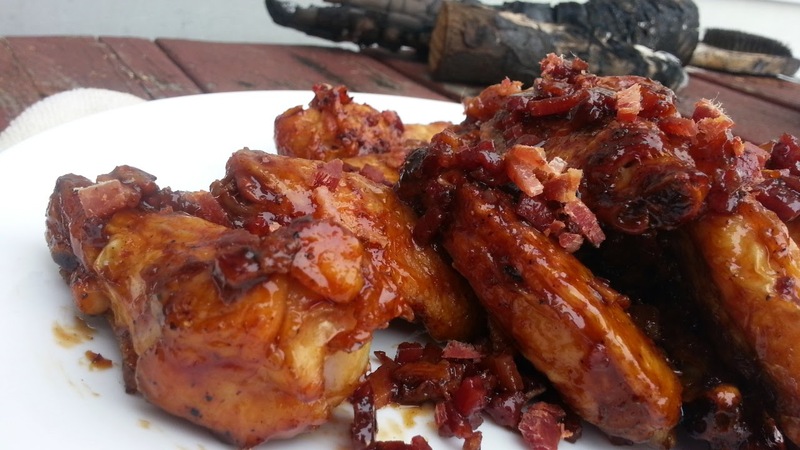 These are by far the best wings I have had since the last time I grilled wings. 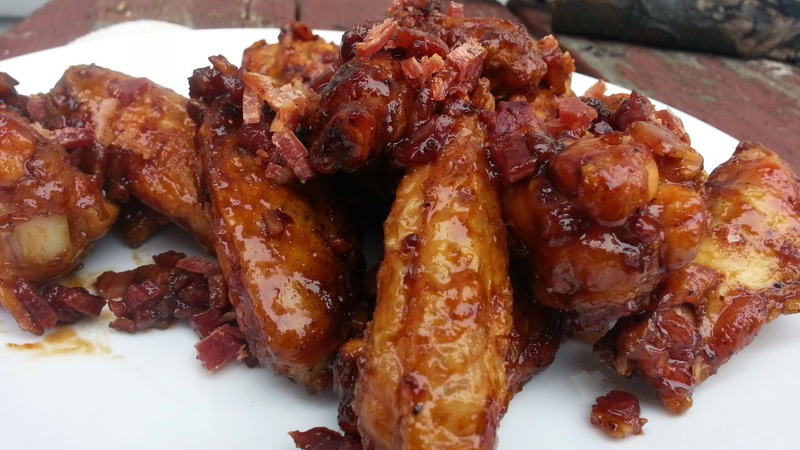 And they rank right up there with Buffalo wings. 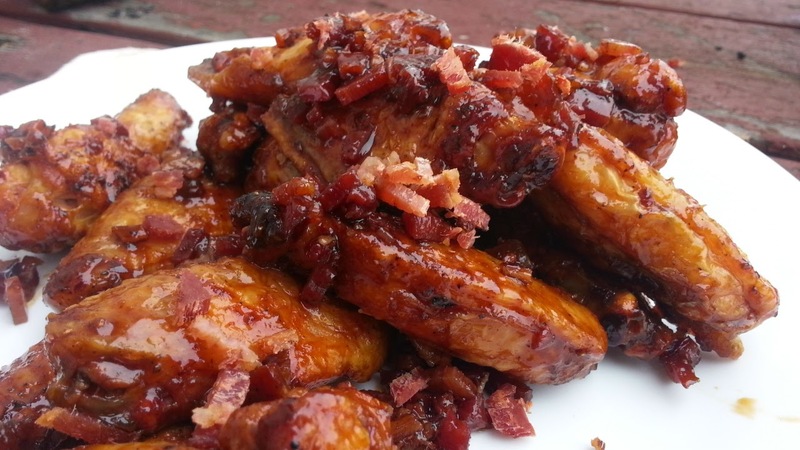 Cook bacon by your preferred method and set aside. Set your grill up for indirect cooking putting a drip pan on the indirect side. This will help with clean up since the wings are very greasy. While the pit is coming up to temperature, separate the wings if necessary and season with salt and pepper. Clean and oil grill grates and put the wings over the drip pan. Cook at about a 450 dome for maybe 30 minutes before you check and flip. While the wings are cooking, its time to start the sauce. Melt the butter over medium heat and add the garlic. Cook about 30 seconds and add the rest of the ingredients. Simmer for about 30 minutes or until it has thickened and reduced by about 50%. Cook the wings until skin is crispy - place over direct heat to crisp the skin if necessary. 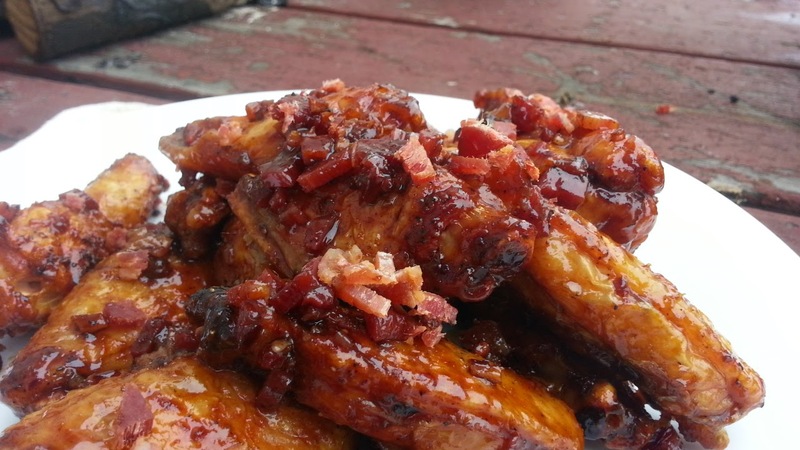 Remove the wings and toss in some sauce with some crumbled bacon.